You already know Quora. Heck, chances are that you already have an account on Quora and you could be using it to answer questions around topics that your business relates to. 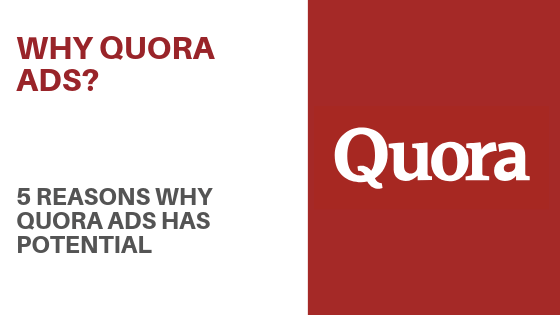 Quora, all by itself, could be an amazing source of leads for your business. By answering questions in detail on the massive Q & A platform, each of your answers could be responsible to bring in high-quality traffic to your website and/or landing pages. At worst, it helps you boost your credibility, build a community, and make genuine relationships on Quora. Carolyn Edgecomb, talent manager, at Impact, uses Quora to build brand awareness. Meanwhile, Imran Esmail who wrote a post on Smartblogger swears by just how powerful Quora is when it comes to driving loads of traffic to your website. A long time ago, I wrote about how you can use Quora to get traffic, build credibility, and generate leads. Quora’s sheer power as a Q & A platform is undeniable. But did you know that Quora also allows you to create ads and directly target specific audiences on their platform? Quora, with its global user base, is a perfect platform for you to launch ads and specifically target people who could be interested in your products and services. As far as advertising goes, unlike Google which runs on keywords and Facebook which allows you to target people based on their interests, Quora allows you to target people based on the topics they are interested in. According to Craig Smith of Expanded Ramblings, Quora has an active user base of more than 300+ million people. More than 40 million are from the United States. With more than 400,000 topics being discussed about, Quora is your new-age — but a lot more powerful and easy to use platform — than your online forums could ever be. As I write this, more and more people are joining Quora. Some people join Quora for asking questions. A few others will join because they want to spend time and answer these questions. Either way, it’s a platform full of people willing to ask and answer questions. It’s a platform that has users who don’t mind writing up 3500-word answers (or more) — complete with links, images, and videos — to provide value. Now, that’s a little something. If Barack Obama is active on Quora and is answering questions there, it should tell you a little something about just how much of a big deal Quora really is. But Mr. Obama isn’t the only one active and answering away. You can also directly have people like Jimmy Wales (Wikipedia Founder and Investor), Hillary Clinton, Mark Zuckerberg, and Satya Nadella. But then, for your business, you might not even need them. What’s more important is that regardless of the topic or niche that your business relates to, you can use the double-impact strategy to make Quora work for your business. What’s a double-impact strategy, you ask? Dole out high-quality answers for questions that users ask that relate to your business. Become the expert, the “go to” person, the champion of the cause that’s relevant to the problems your business solves. Use Quora Ads to generate leads and sales. Two birds. One shot. Just like that. Are you already active on Quora? Do you have answers that are already making a difference to several people? Have you been getting shares, upvotes, and comments? Do you have an answer that’s working for your business — notwithstanding credibility and community love — already? 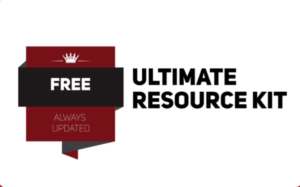 You can now take those particular answers that are relevant to your business or where you might have provided an answer that’s already doing well and use it as an ad unit. Quora’s promoted answers are a terrific way for you to scale up the impact and reach of your existing answers on Quora. By using Quora’s Promoted Answers, you now have the ability to use a highly-relevant ad unit which is going to look like an advertorial packed with value, within Quora while targeting the exact audience that’s likely to respond to your ad unit. Quora Sessions is a feature within Quora using which few experts will take time out of their busy day and answer targeted questions directed at them. If you ever wanted to find out answers from well-known experts and those who’ve been there and done that, Quora sessions is what you should be checking out. Let’s say you aren’t there yet, by asking questions to experts when they go active with their sessions, your questions and the resulting answers are also viewed by several million giving your own Quora profile an instant boost. But I am talking about “you” being the expert to whom questions will be directed at. The product is still in development, and the only way to be able to host Quora Sessions is when you become an established expert by putting in the grind and being known on Quora. Here’s a little from Quora about sessions and about Who Should Host Sessions? Image this: if you were an expert answering questions through Sessions and if your own ad shows up next to the streaming conversations, just how effective do you think your ad is going to be? Quora didn’t make any announcements yet, but I have a feeling that the ability to target sessions on topics will come soon to Quora Ads Platform. Quora recently launched Quora Spaces which are collections of content and communities with shared interests. The reason why Quora Spaces was launched was to make it easier for people to share and read up content on specific topics. Normally, Quora has several million pieces of content (questions, answers, and people) and it could be difficult to find exactly what you are looking for. At the moment, Quora Spaces hasn’t been rolled out to everyone except a few users on Quora. Now, when it’s rolled out to the public it allows individuals, businesses, communities, or a group of people to launch dedicated spaces for more involved discussions on topics that matter to them. While Quora might not have thought about this yet (or maybe they have), these Quora Spaces provided for a highly-targeted and relevant space (within Quora) for more targeted ads showing within Quora Spaces.